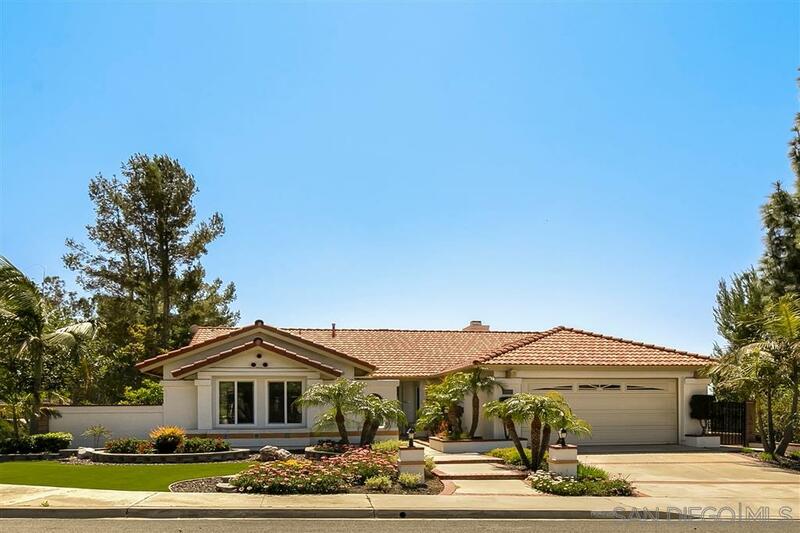 Well-maintained home on a private corner lot with mature trees and plenty of natural light. Spacious living room with a fireplace, sliding doors to the backyard, and high vaulted ceilings. This home has a beautiful country kitchen with floor to ceiling cabinets, hardwood flooring, stainless steel appliances, bar seating, and custom tile backsplash. The kitchen opens to the dining area and family room! The master suite boasts vaulted ceilings, double doors to the backyard, soaking tub, and walk-in closet., Enjoy outdoor living under the extended covered patio surrounded by a tranquil low maintenance yard. Laundry room/mud-room separates the garage from the kitchen. Low HOA.